The term “naked official” or, luoti guanyuan, is a popular term referring to Party or government officials whose immediate family members live overseas or have already become foreign nationals. 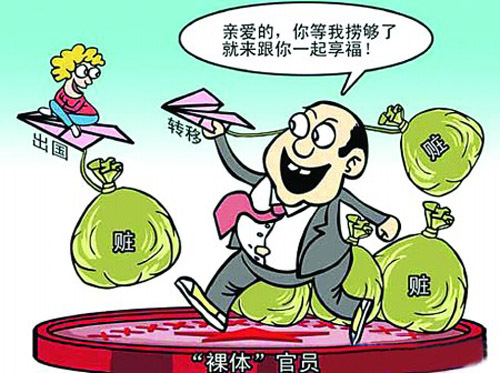 In many cases, such officials are stashing the ill-gotten gains of official corruption in China in overseas accounts or businesses — and preparing to eventually leave China. Little has actually been done to combat this practice, though a top discipline inspection official said in March 2011 that China would begin to scrutinize such conduct.